Former Nigeria international Daniel Daudu was killed in a crash in Indianapolis in the United States on Friday, Indianapolis Star confirms. 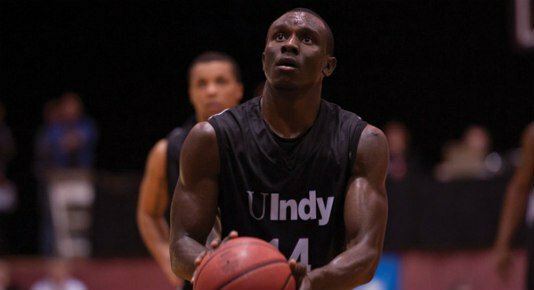 Reports said the ex-University of Indianapolis player died when a large part broke off the rear of a northbound semitractor-trailer and struck Daudu, who represented Nigeria at the 2007 World U20 Basketball Championships in Serbia. According to Indiana State Police, the crash happened near the I-465 ramps on the city’s south side. Daudu was found seriously injured and unconscious. He was pronounced dead at the scene. Meanwhile, the Nigeria Basketball Federation on Sunday paid tribute to Daudu. The NBBF president Musa Kida said the federation was saddened by his passing. Kida said, “It’s a sad feeling to lose somebody so close no matter the age. Losing Daniel at the age of 28 and the manner which it happened is something that has left us all in shock. A member of the NBBF board Samuel Ahmedu lamented the death of the former Dodan Warriors player. The founder of Dodan Warriors Basketball Programme urged friends and family members of the Daudus and the entire basketball family to remain strong despite the cruelty and brevity of life. “Life has shown its cruel hand but we must remain strong so that his legacies will not go unsung. The world will miss you Daniel, but we take solace that you are with the Lord. Rest in peace and catch you on the rebound,” he said.